Which Side of a Coin Is the Obverse? What is the Obverse of a Coin? The obverse of a coin is the front, main, top, or "heads" side of a coin, usually bearing a portrait. Also, this term is commonly used to refer to the front of two-sided paper money, medallions, flags, seals and drawings. Outside the field of numismatics, This is more commonly called the front. In publishing, "recto" and "verso" are commonly used to refer to the front and back side of pages respectively. Numismatists use a variety of terms to describe coins to other collectors and dealers. It is essential to understand these terms as you begin your coin collecting journey. Failure to do so could result in purchasing a coin that is below your expectations. In early times coins were made by taking to harden pieces of metal with incuse designs engraved on them to make the coin. These are known as coin dies. One die was mounted on a large sturdy surface such as a rock or stone, while the other coin die was held by a mint worker. The lower die was known as the anvil die, and the die held by the worker was known as the hammer die. The mint worker would then take a piece of metal and place it on the anvil die, put the hammer die on top of it and strike it with a large heavy hammer to impart the coin design on the metal. Since the anvil die imparted the design on the back of the coin, this was known as the reverse side of the coin. The top of the coin that was produced by the hammer die is known as the obverse of the coin. Over time machines were invented to aid in the production of coins. Early coin presses were operated by hand or driven by work animals. An alternate source of energy now drives modern coin presses. Most of them use hydraulic pressure to create tremendous force use to make coins. Although most coin presses still use a hammer die and an anvil die that is mounted vertically within the press, some modern presses produce up to five coins simultaneously with the coin dies mounted horizontally within the press. Historically, most coins feature a portrait of a fictional character (such as a God or deity), a reigning monarch (such as a king or queen), a symbolic portrait (such as Lady Liberty) or a person being immortalized on a coin. Initially, the United States used the symbolic portrait of Lady Liberty on all of our coins. In 1892 the portrait of Queen Isabella and Christopher Columbus were featured on United States coins to commemorate the 400th anniversary of Christopher Columbus discovering America. In 1909 President Abraham Lincoln was featured on the one cent coin. His portrait continues to be the main element on all U.S. pennies. What If There Are Two Heads? The rule-of-thumb has historically been the side of the coin with the portrait of a person is typically considered the obverse. 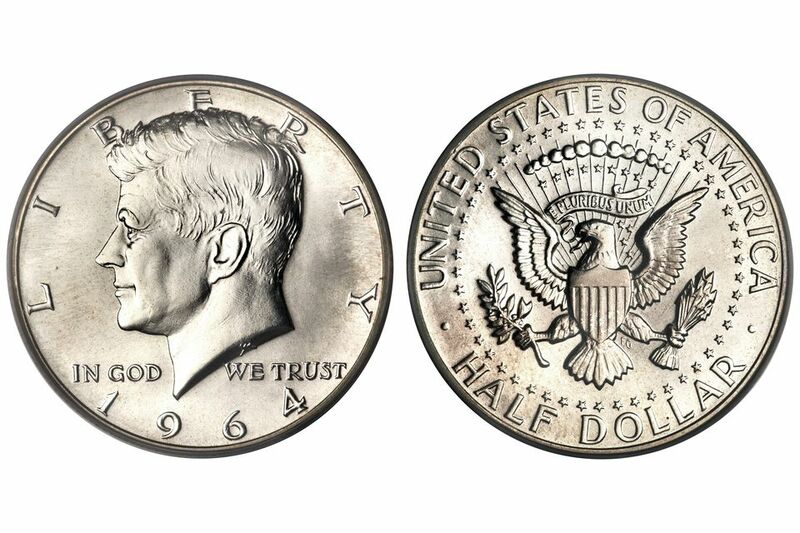 However, how do you tell which side is the obverse if there is a portrait on both sides of the coin? For example, the 1904 Lewis and Clark Exposition commemorative one dollar gold coin has Meriwether Lewis on one side and William Clark in the other. You will notice that one side of the coin has the inscription United States Of America and the denomination of "One Dollar." The other side of the coin has the commemorative title "Lewis Clark Exposition Portland Ore." and the year of mintage. Expert numismatists still don't agree as to which side is the obverse and which side is the reverse. However, most people agree that the side of the coin with the year it was minted in is the obverse. Therefore, the other side is the reverse. No hard and fast rule dictates which side of the coin is the obverse and which side is the reverse. Time and history usually play out, and tradition takes over. As articles are written, books are published, and numismatists have discussions, one side or the other will eventually emerge as the obverse. The opposite of the coin is called the reverse side. How to Tell Which Side of a Coin is the Obverse When There's no Portrait?